Multi-port, flexible, UECP compliant RDS generation, with MPX generation thrown in for free. 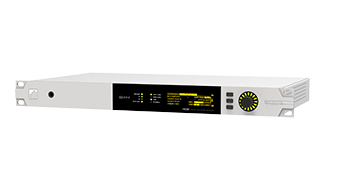 An industry compliant radio data system encoder, supporting multiple IP ports and even boasting a stereo generator at no additional cost. *All prices shown are suggested retail Prices. Prices in your location may be higher due to duties, taxes, freight and customs charges, and other factors beyond our control. Monitor and control your receiver from anywhere in the world. Outstanding reliability is backed up by our 10-year international warranty for your peace of mind. 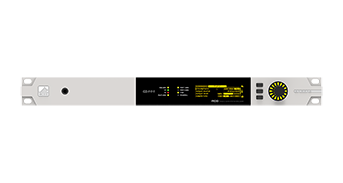 The RDS Encore is a cost effective RDS/RBDS encoder for your radio station or device. It allows the display of station name, promotions, news, artists and title of currently playing song including RT+ tagging, current time and much more on RDS compatible receivers. RDS encoding and decoding in a single box, with stereo encoding and peak control thrown in also, offering the industry the most flexible and value for money RDS solution available. 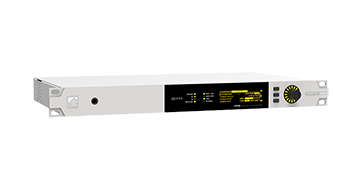 Multiple network ports, and full Universal Encoder Communication Protocol (UECP) compliant operation - allow flexible and industry standard operation and inter-operability. Radio Test PLUS (RT+), multiple data sets and scrolling PS keep your listeners fully informed and in-house data capability brings in revenue. Plan-B silence detection technology automatically reverts to auxiliary audio sources or onboard flash memory, keeping your broadcast on air. HTML5, FTP, Telnet, SNMP & RS232 Remote Control with IP streaming allows you to monitor and control your processor from anywhere in the world. Even listen in over an IP connection. Interested in earning up to €40,000 and more a year developing cutting edge audio and RF products? Have you always wanted to live and work in the vibrant city of London? You may delete and block all cookies from this site, but parts of the site will not work.Most web browsers allow some control of most cookies through the browser settings. Google Analytics These cookies are used to collect information about how visitors use our site. The information is used to compile reports that let us improve the site. The information is collected in any anonymous form, including the number of visits to this site, how you arrived at the site, and which pages you visted.